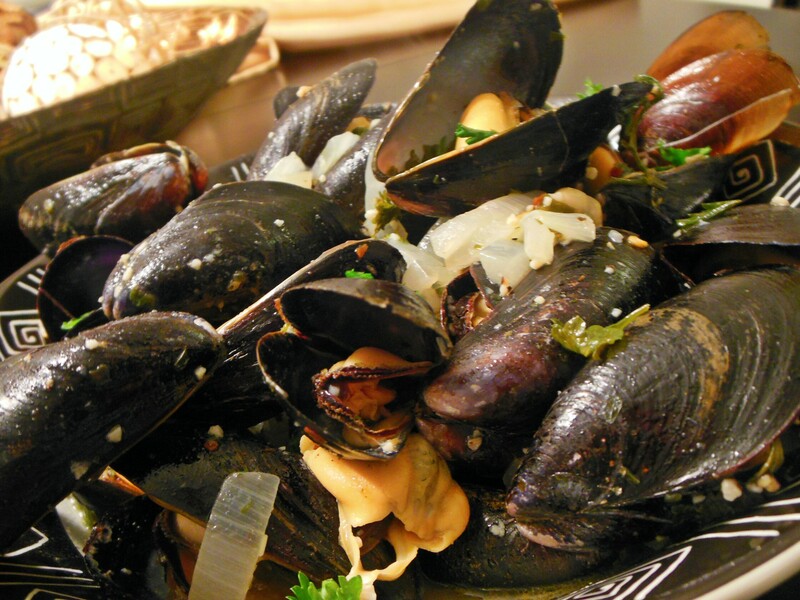 Three awesome things about mussels: They’re inexpensive, extremely easy to cook and they are finger lickin’ good. 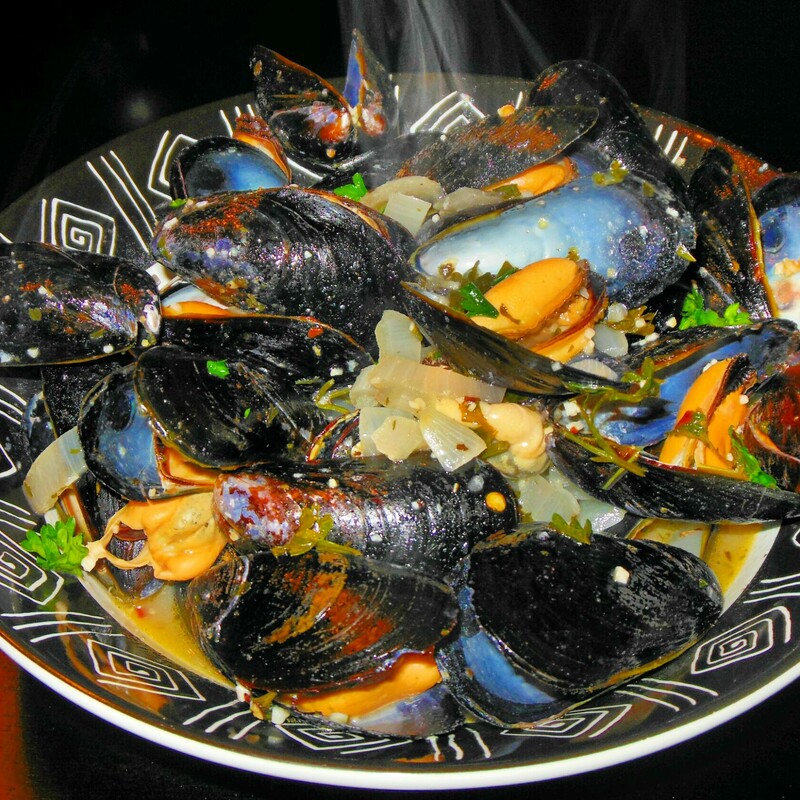 If you are a seafood-lover like I am, you will LOVE this simple and tasty mussels recipe. Thoroughly rinse mussels and set aside. Mix Lipton soup mix and water together thoroughly and set aside. Melt butter over medium heat in a pot. Add chopped onions, minced garlic and parsley and saute for 5 minutes. Dump mussels into pot. Chop lemon in half and squeeze the juice of both lemon halves over the mussels. Pour the Lipton soup mixture into the pot and adjust heat to high to bring all ingredients to a boil. Boil mussels for 10-15 minutes or until shells have popped open. 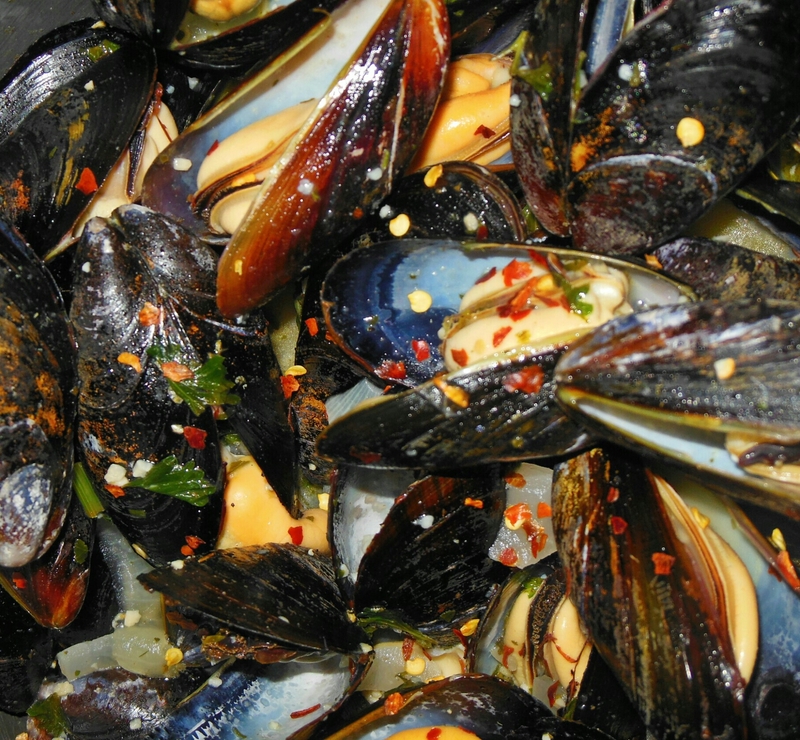 Sprinkle mussels with black pepper and crushed red pepper flakes and thoroughly toss mussels. Serve steaming hot with garlic toast. Yes!!! Can’t wait to try this at home!! !